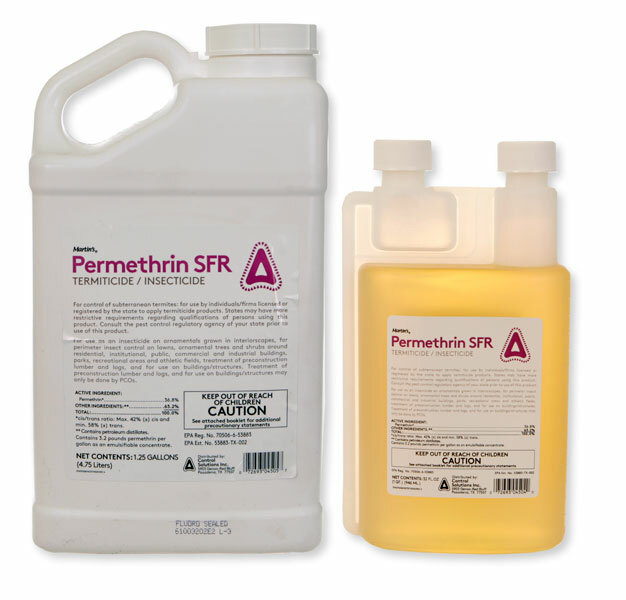 1 2/3 oz of Permethrin SFR for a .05% rate. There is a chart on the label directions that tells you exactly how much to use per gallon of water for a specific rate. I recommend the low rate of .05% in almost all cases. It gets too expensive at the higher rate.